It's gametime. CLIFF LEE is on the mound. 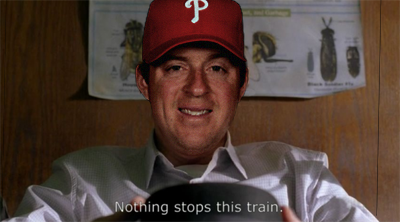 The Phillies are in hail mary, hair-on-fire, desperate push for the playoffs high wire mode. Feels good, right? We got this. Ain't that right, Kratzy? Put milksteak. She'll know what that is.